Today (25 September 2008) marks the 31st celebration of World Maritime Day, the annual occasion when the International Maritime Organization (IMO) leads the world in honouring shipping. 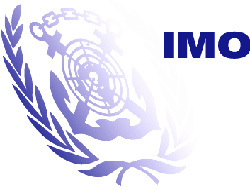 This year the theme for World Maritime Day is IMO: 60 years in the service of shipping. The year 2008 contains a number of key milestones and anniversaries for the Organization. 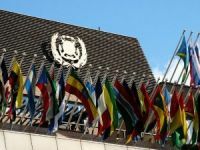 March 6th was the 60th anniversary of the adoption of the IMO Convention by a conference held in Geneva in 1948 under the auspices of the United Nations; March 17th was the 50th anniversary of that Convention entering into force in 1958; and June saw the convening of the 100th session of the IMO Council, the executive organ of IMO responsible for supervising the work of the Organization in between sessions of the Assembly. 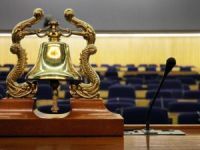 In his World Maritime Day message to the international maritime community, IMO Secretary-General Efthimios E. Mitropoulos said, "Today, on World Maritime Day, we can say, with confidence and pride, that IMO has served the shipping industry well since its inception 60 years ago. As we look back over what we have achieved and, more importantly, forward to the challenges that lie ahead, we know that the edifice from which we operate is strong and well-structured. Our course for the future is set, and we will make our passage with optimism and a clear vision about the objectives we want to achieve." 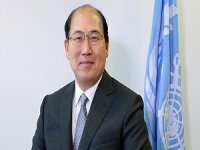 "Globalization has transformed international commerce, new powers have emerged in shipping and the plethora and thoroughness of measures established by IMO during its 60 years in the service of shipping has provided the bedrock from which a safer and cleaner industry has emerged, one that can continue to develop and flourish. 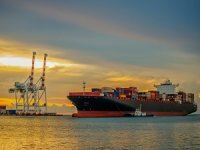 Furthermore, IMO's work has demonstrated, beyond doubt, that international standards - developed, agreed, implemented and enforced universally - are the only effective way to regulate such a diverse and truly international industry as shipping." 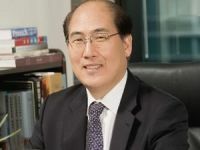 "The Organization's standards are now firmly embedded in shipping's consciousness and practice worldwide and they shape the industry of today," he said. "It is because of the extensive network of global regulations that IMO has developed and adopted over the years that shipping is, nowadays, a safe and secure mode of transport; clean; environmentally-friendly; and very energy-efficient," Mr. Mitropoulos added. "And so, IMO stands united, focused on the challenges ahead and continuously relevant to the industry it has been serving for so long. Shipping is, par excellence, a significant contributor to, and facilitator of, economic growth on a worldwide basis. 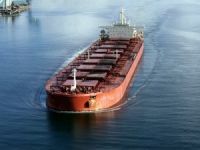 As such, the mission of IMO (that of promoting its safety and security, its efficiency and its environmental credentials) is one that reaches out far beyond the Organization's immediate constituency and touches the life of nearly everyone on the planet," he said.